If you’ve got a dog, chances are you’ve posted a picture (or 1000+) of them on Instagram. Maybe more than once. Maybe more than once a day (who are we to judge?). 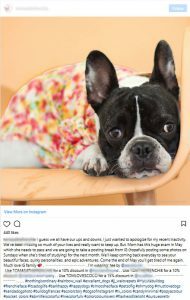 Chances are you’ve also scrolled through the feed of an Insta-famous floor and wondered how you can create such a shrine to your furry BFF and shoot them into Instagram stardom. Fear, not friends – read on for our guide on how to make your dog Instagram famous. Sick of dreaming about how to make your dog Instagram famous and ready to make it a reality? 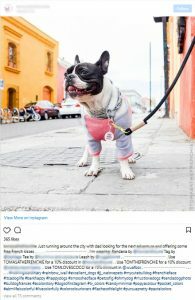 You might have one idea of how you want your dog’s Instagram account to look and feel, but as time passes, you might realize that style doesn’t really suit them at all! Be OK with changing it up in the early days, but once you find the style that suits you, run with it and own it. “One day I was having lunch with my sister and she said something like “have you noticed that all you do is the post about Tom all day, why don’t you create her own Instagram account?”. I had never thought about doing that and thus begin. I was obsessed with a black and white dog account at that time, so I began Tom’s account in b&w using my phone camera only, but I quickly realized that this wasn’t working. I’ve always liked painting with bold colors and decided that Tom’s account should have that colorful feeling as well. It took me a while to find the colors that would fit Tom’s personality and this is how I ended up using pastels. Instagram fame is all about getting *the shot*, the one that will stop scrollers in their tracks and guarantee double taps. But you know what they say about working with animals and children? Turns out its kind of true. “It takes about 10 to 15 photos of Tom to get a good one, we definitely work with treats and since I started taking photos when she was a puppy it has become pretty easy to get her to sit and stay while I take her photos. But bribing is a must, that’s the only way to start. Taking photos of the same little furry face (no matter how adorable it is) is bound to get boring after a while. This is normal, and the only way to get around it is to mix things up constantly and stay inspired. When it comes to figuring out how to make your dog Instagram famous, creativity is key. Start a Pinterest board, or use Instagram’s new Save feature to collect images you love and let them inspire your next shoot. See what we did there? 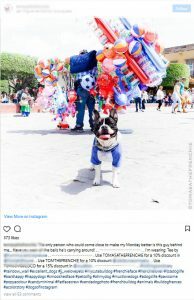 Having a carefully curated feed is everything when it comes to nailing how to make your dog Instagram famous and developing your pooch’s brand. A consistent visual style is key, and (we don’t mean to toot our own horn, but …) this is where we come in. “Plann definitely changed the way I developed the aesthetic for my account. I really like accounts that are clean, cohesive and have a solid color storyline. I used to be the typical neurotic Instagram user that would delete photos once I posted them because they did not fit into the feed, but this changed drastically once I got Plann. “Captions for me are the hardest, I would rather do the colors and organizing part only. I do think that if you want to grow your dog account your dog needs to have a unique voice and story to share with others. 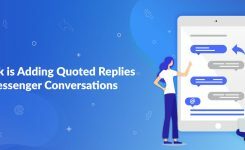 top tips for writing captions? You can always use quotes and memes if you don’t feel like writing captions that day. As with any Instagram community, the dog lovers (and actual dogs) are an active and passionate bunch. According to Jess, the key for how to make your dog Instagram famous and gain success in the dog-eat-dog online world is engagement. But be warned: if you’re really serious about growing your account, this means an investment of time (maybe more than you think). “I’ve had a couple of people ask me how to grow their account and get their dogs to “influencer” status and the first thing I say is that it requires A LOT of time. 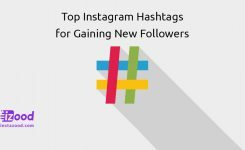 You need to spend hours on Instagram liking, commenting and finding new accounts. What I would recommend if you want to do grow your account is to set certain hours of your day in which you know you’ll be on Instagram for at least 30 minutes. If I have a very busy day then I don’t post photos and only engage with accounts I follow. On normal days I know that I will be on Instagram from 9:45 am to about 10:15 am (I post at 10 am most days, keep a consistent schedule!!! ), then I will come back to Instagram in an “I am bored at work moment”, and finally engage quite a lot from around 9 pm to 10 pm. “First, I prioritize the accounts I follow and make sure to at least comment on several of their posts that week. Second, I move on to hashtags I like. Third, I recently started to engage with accounts that have just liked some of my friends’ photos. And, fourth, if I have time I will go to big dog hashtags like #frenchbulldog and like many Frenchie photos there. Don’t be afraid to think outside the box when it comes to ways to expand the reach of your account. Yes, you’ll be part of the #dogstagram community, but you can also create connections in tons of other places. “One of the reasons that Tom’s account is a mix of solid pastel background photos and city shots is that I do like to reach beyond the Instagram dog community. I believe this has actually helped the account grow a lot because the use of solid pastel colors has given us the opportunity to get featured in big non-dog accounts like. What else can you work into your dog’s Instagram personality? 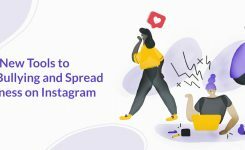 Think colors, food, places – maybe even look at the accounts you already love to follow on Instagram and think about what they have in common. That could be your place. All that engagement you commit to will most likely lead you to some special connections. The hours of your week spent chatting with your fellow dog-parents can create some awesome new friendships, both online and IRL. As with any project, you can make this as a big or little a part of your life as you like. But if you’re keen to shoot your puppy to Instagram stardom and figure out how to make your dog Instagram famous, we’re going to wager there will be a shift in the way you spend your time. “My weekends’ plans now involve going to some cool part of Mexico City to take some photos of Tom, and we usually try not to leave Tom in the apartment in case there is a picture perfect moment. Plus, you will always find me walking with my camera in all her potty walks.